To add a fixture, follow the steps given bellow. 2. Select the New Fixture option from the New drop down list. 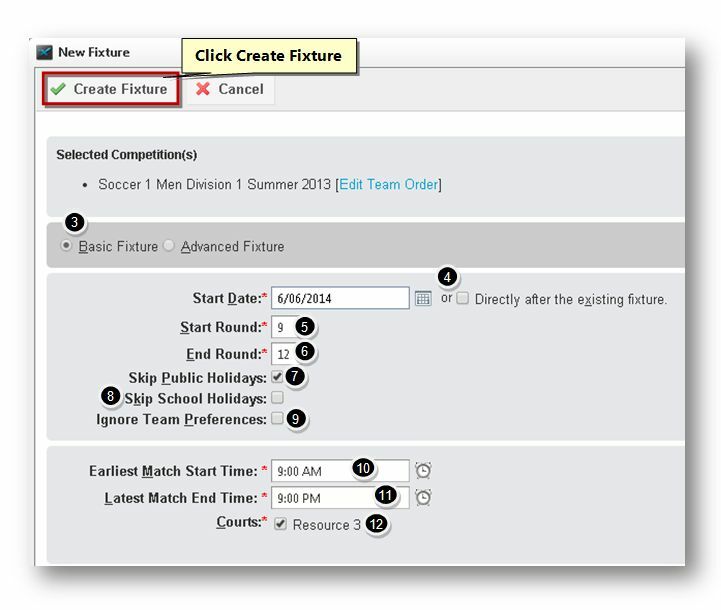 The New Fixture dialog will be displayed. 3. Specify whether you create basic fixture or advanced fixture by checking or un-checking the Basic Fixture and Advanced Fixture option. 4. Select the start date from the Start Date calendar or check the Directly After the Existing Fixture option. 5. Enter the start round value in the Start Round text entry box. 6. Enter the end round value in the End Round text entry box. 7. Specify whether you wish to skip public holidays by checking or un-checking the Skip Public Holidays option. 8. Specify whether you wish to skip school holidays by checking or un-checking the Skip School Holidays option. 9. Specify whether you wish to ignore team preferences by checking or un-checking the Ignore Team Preferences option. 10. Select the earliest match start time from the Earliest Match Start Time clock. 11. 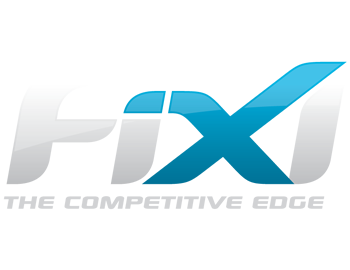 Select the latest match start time from the Latest Match End Time clock. 12. Specify the courts by checking the Courts option. 13. Click the Create Fixture button. The new fixture will be added.